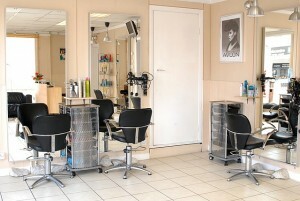 Beauty Salon Loan options can help business owners cover a variety of costs. At Silver Rock Funding we enjoy working with those who have found success in the beauty industry. Using our Beauty Salon Loan options can help your business in a variety of ways. Individuals such as Melody McCloskey, the brains behind StylesSeat, grew her business by word-of-mouth and peer referrals. If you have searched for a hair stylist, salon, or spa online, you have heard of Styleseat. 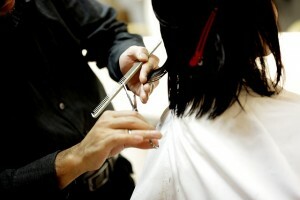 StyleSeat.com is a web-based salon booking service. It connects customers with local salons who they may or may not have been able to find otherwise. As brilliant as the concept sounds, McCloskey had trouble getting the financial backing that she needed originally.Eventually, she was able to prove herself. Investors such as Uber Founders and Ashton Kutcher began to fund her idea. Soon the business began to expand, acquiring another beauty brand. As a young business, StyleSeat is impressive. The website is active in 16,000 cities and 30% of hairstylists in the USA have accounts. Hair salons could get up to $500,000 in funding. Most entrepreneurs in the beauty industry do not have an innovative tech company. Most own a small mom and pop establishment, so a Beauty Salon Loan of up to $500,000 makes all the difference. With the salon and spa industry now making up a $40 billion space, business owners are constantly investing in themselves to get their companies the influx of cash they need. Whether it is for marketing your beauty shop as a beautician, or it is working capital to improve your facility, growing your business is the most important thing. A Beauty Salon Loan from Silver Rock Funding can turn things around. If you have a different kind of business in the beauty industry, loans such as Beauty Shop Loans or Nail Shop Loans. This same sort of funding is available for business owners that operate Spas and other skin-related businesses. Hair Salon Funding can be used to cover any expense you might face in your industry. Getting financing for your beauty salon is easier than ever. Through a simple application, you could be matched with a private lender and receive funding in a matter of days. Most beauty shop owners that are approved for funding receive a deposit within 72 hours. The process begins as a dedicated funding manager assists you in gathering all the documents, bank statements, and materials you will need to help fund your business. In our history, we have matched businesses with more than $20 million in funding. What are you waiting on? Get started on the free application today!